For Users - Refer a new seller and receive 10% from every sale for 12 months. Refer a seller who will be uploading files and receive 10% from every sale they make for a full 12 months. 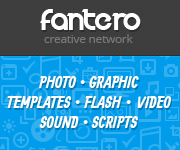 For example, if someone makes $10,000 a year of sales at Fantero.com: $1,000 will be added to your account. Money will accumulate in your account every day from that person's sales, and the more files that they upload in the first year, the more money you make. For Users - Refer a buyer and receive 50% from their first deposit..
We believe that this is an awesome referral program for anyone who can bring buyers to the Fantero Marketplace. You can make 50% of their first deposit, and that's from every person that you refer to us! All you have to do is register, and you will receive your special link to give to the buyer. The money from that person's first payment to us will then be added to your account. For example, if the client puts $100 in their account , you will automatically receive $50. Fantero’s top authors can make between $20,000 and $50,000 per month selling stock! Imagine working when and where you want, making passive income whether you’re working or not. Some of our authors sell stock as a hobby, some to get their name out there, and some make it their full time profession. For Authors - Upload any creative file, and make 50%-75% from every sale. 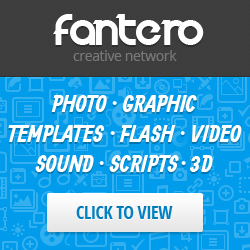 Yes, anyone can join Fantero, upload files, and make money. If you can make any type of audio, video, flash, script, template, photo, graphic, or 3D file, that's great - start uploading them now! Every time you sell something you make 50% from each sale. For example if you have a Flash file with a $100 price tag, make 20 sales and you get $1000. You can request payment at any time - it's easy! 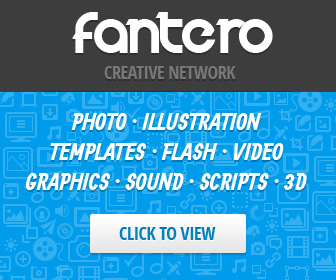 *Sales - Total sales on your Fantero network account. You can find your % and total sales & earnings on your account information. Join now, sell files, make money! For Buyers - Receive up to $15 bonus if you put $100 in your account. You can get a nice bonus ranging from $1 to $11 every time you add money to your account. To put money in your account you can use any payment system, such as PayPal, credit card, and a number of other payment services. Please contact us if you want to use some specific payment system not listed here. If any of these methods do not work for you, please contact us, so we can help you to receive your payment.